This economical set is the perfect addition to any scaler project. 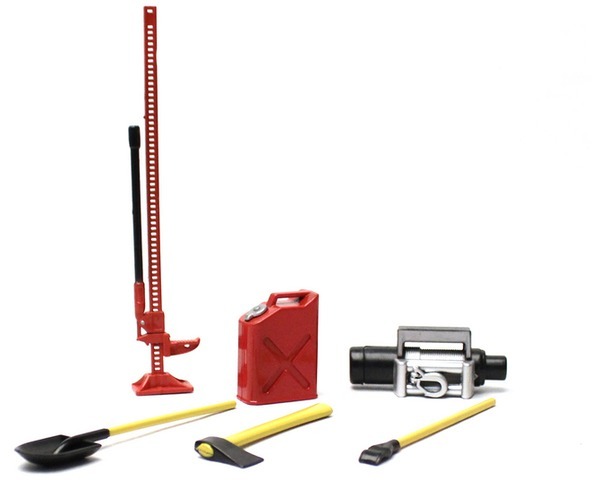 Includes a high-lift jack (non-functional), gas can, spade, shovel, axe, winch, and two separate racks (not pictured), one for the tools and one for the gas can. Available in red or green colors to compliment any vehicle color scheme.